Current linguistic research on sign language is often based on analysing large corpora of video recordings. The videos must be annotated either manually or automatically. Automatic methods for estimating the signer body configuration—especially the hand positions and shapes—would thus be of great practical interest. Methods based on rigorous 3D and 2D modelling of the body parts have been presented. However, they face insurmountable problems of computational complexity due to the large sizes of modern linguistic corpora. In this paper we look at an alternative approach and investigate what can be achieved with the use of straightforward local 2D appearance based methods: template matching-based tracking of local image neighbourhoods and supervised skin blob category detection based on local appearance features. After describing these techniques, we construct a signer configuration estimation system using the described techniques among others, and demonstrate the system in the video material of Suvi dictionary of Finnish Sign Language. 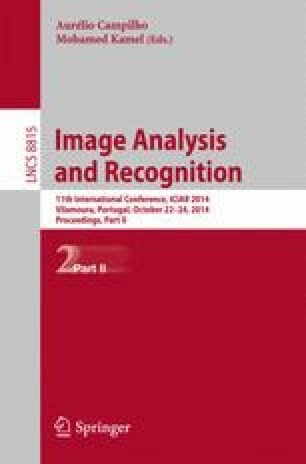 This work has been funded by the following grants of the Academy of Finland: 140245, Content-based video analysis and annotation of Finnish Sign Language (CoBaSiL); 251170, Finnish Centre of Excellence in Computational Inference Research (COIN).